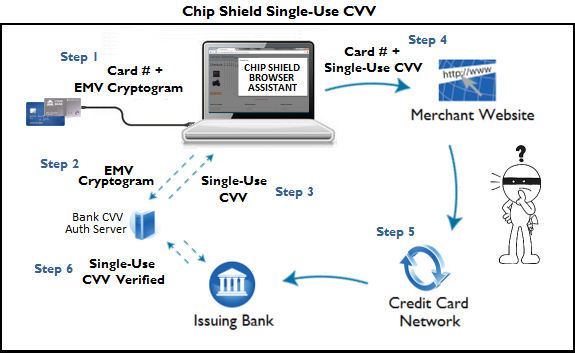 At Chip Shield, we’re using the security chip already in your customer’s wallet to help reduce CNP fraud and eliminate false declines at the same time. Our solution streamlines online checkout without requiring any changes to merchant sites. 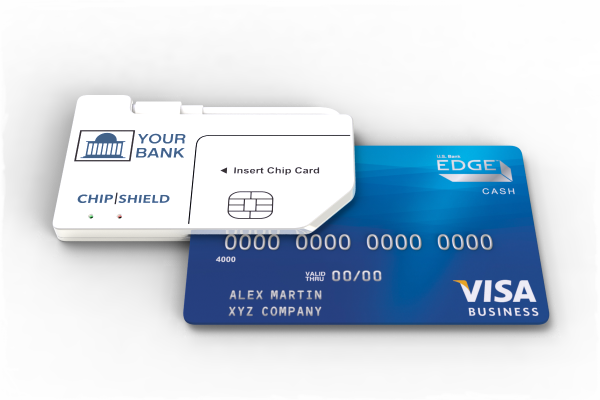 The Chip Shield card reader, in conjunction with Single-Use CVV codes, allows you to protect your customers from card theft and process online transactions using “card present” fraud rules. Offering branded Chip Shield readers to your customers is a great way to increase customer loyalty and make sure your card is the “top of wallet” for online purchases. Single-use CVV codes provide a simple and effective way to increase the level of security for customers when they shop online. 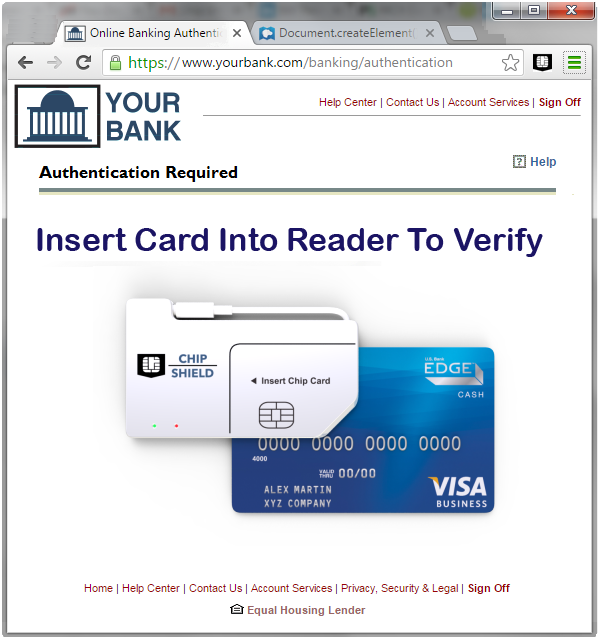 We contact the bank’s authorization server a few seconds before checkout and provide EMV data to prove the card is present. Card issuers can eliminate false declines by processing Chip Shield transactions using “card present” fraud rules. No changes are required to the merchant site and authorization is processed normally through the payment gateway. With the rapid growth in account takeover fraud, protecting online and mobile banking sites has never been more important. Adding reliable 2-Factor Authentication can ensure that risky transactions such as card requests and fund transfers are protected. With Chip Shield, banks can leverage the chip card already linked to the customer account and use industry standard EMV Dynamic Data Authentication as a simple and proven approach to validate your customer’s identity. Since the customer’s card number is already know to the bank systems, there is no need for an additional onboarding step to enroll the customer. Eliminating customer onboarding is important since this process can often open additional paths for fraud.